Professor Dawkins leads the Office of Population Health Genomics (OPHG) in the development and management of policies, plans and statewide services to minimise the impact of rare diseases within Western Australia. He provides advice and recommendations on issues relating to genetic testing, screening, gene patents, genetic privacy, stem cell therapy and the translation of new knowledge and technologies to improve in health services. OPHG sponsored and organized Australia’s inaugural rare diseases symposium in 2011. OPHG is currently responsible for developing a state strategy for rare disease and preparing a scoping paper, at the request of the Australian Health Ministers’ Advisory Council on the need, or otherwise, of a National rare disease plan for Australia. Prof. Dawkins is currently Chair of the National Rare Diseases Coordinating Committee; National Rare Diseases Working Group; and National Neuromuscular Diseases Registry Advisory Group and a member of the Coordinating Board of the endocrine virtual laboratory (endoVL) funded under the National eResearch Collaboration Tools and Resources (NeCTAR). 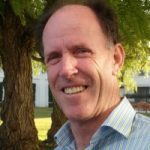 As Director of OPHG, Prof. Dawkins is the nominated Australian contact for Orphanet and for the International Rare Disease Research Consortium (IRDiRC). Prof. Dawkins is leading the Australian efforts in the development of a National Plan for Rare Disease, in concert with this policy position he is also coordinating the Australian partnership in a European Commission Framework Program 7 applications, RD-CONNECT and concerted action project RARE-BestPractice and a Chief Investigator on the NHMRC Australian European coordination grants. Prof. Dawkins has been instrumental in building national rare disease registries with the aim of linking up to global networks of national registries. He has over 90 peer-review publications. More particularly Prof. Dawkins has been instrumental in translation of new knowledge into health policy and implementation of those policies into public health best practice.